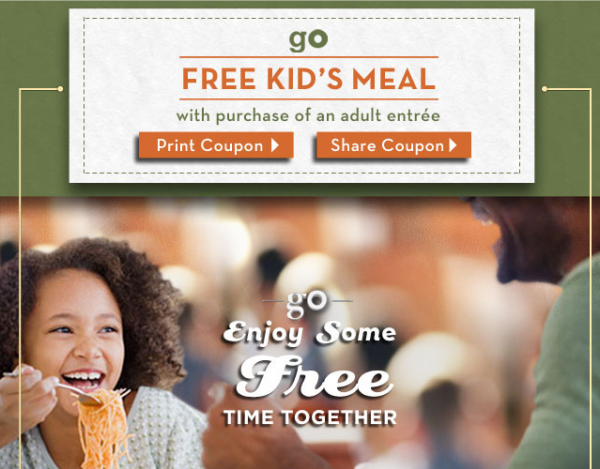 Print an Olive Garden coupon good for a free Kid’s Meal with any adult entree purchase. This offer is valid through June 13, 2013. I believe it’s only good until 6/13/13 according to the one I printed. When you click on it, before it prints, you can see the expiration date on the screen too, and that’s what it says.